Cypress Forest Business Center provides one of the most beautiful office building environments in Northwest Houston. In the midst of towering pine trees with heavily landscaped common areas, these buildings offer a tranquil setting in a very convenient location. Cypress Forest is located on the west side of IH-45, just south of Cypresswood, with convenient access to all of Houston's major thoroughfares. It is just minutes from the Intercontinental Airport, The Woodlands Mall, Greenspoint Mall, Beltway 8 and the Hardy Toll Rd. Offices are custom-built to suit individual tenant needs, with each tenant having a private entryway. 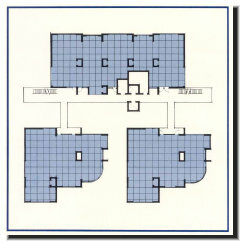 Individual heating and air conditioning controls, security systems and covered parking are additional features provided. A 32,000 s.f. 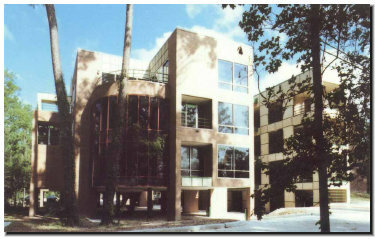 campus style office complex within Cypress Forest, which serves as headquarters for Hendricks Interests LLC and Hendricks Sports Management LP. Numerous professional tenants also lease office space.